Namco Pools provides customers with the enjoyment of a luxurious family escape within the comforts of their own home through quality, affordable outdoor products. We offer the largest variety of outdoor leisure products, backed by the best warranties for peace of mind and a dedicated sales and service staff for your convenience. Namco pool, Jacuzzi and patio experts specialize in providing professional service, helpful advice, and superior products for all types of lifestyles and budgets. As an official Jacuzzi dealer with a full line selection of patio and outdoor furniture, Namco Pools features sixteen stores across New York, Connecticut, New Hampshire, Massachusetts and Maine. We're the largest retailer of above ground pools, spas and patio furniture in the Northeastern United States. Our NAMCO BACKYARD EXPERTS guide you through all the important decisions of pool selection, ownership and maintenance, and all the enjoyment and excitement in creating your BACKYARD OASIS. After closing all of its stores in 2017, and after more than 50 years in business, a passionate group of pool, outdoor living and retail entrepreneurs joined forces and recognized the tremendous history and opportunity to reinvent Namco in the Northeast. In 2018, Namco Pools was reborn under new leadership and brought back on with new ownership committed to the vision of complete customer happiness. Starting with a better customer experience, Namco Pools is built on anticipating all the little things that make a big difference in designing your ultimate backyard paradise. We are excited for this next step and look forward to the next chapter in the Namco story. For nearly 60 years, Namco offered our customers the largest selection of above ground pools, spas and patio furniture, accessories and equipment. We are driven by our commitment to complete Customer Happiness, and we proudly back our products with the best warranties. Our team of experts provides professional service and advice you can trust. The best Backyard Adventures start with Namco Pools. Start planning yours today! Your trust in the Namco brand allows us to expand our offering beyond swimming pools and supplies. 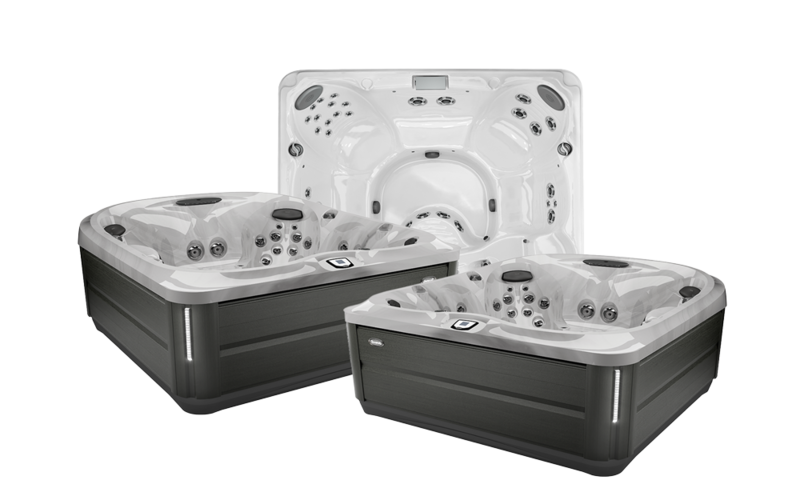 As an official Jacuzzi dealer with a full line selection of patio and outdoor furniture, Namco Pools features sixteen stores across New York, Connecticut, New Hampshire, Massachusetts and Maine. We're the largest retailer of above ground pools, spas and patio furniture in the Northeastern United States. Namco Pools is the Northeast's largest retailer of above ground swimming pools, spas and patio furniture. Founded in 1962 and reborn in 2018 under new leadership, our mission is to create the best pool, hot tub and patio ownership experiences possible. We are passionate about outdoor living, delivering complete customer happiness, creating memorable Backyard Adventures and making a difference within our community. We are proud to carry quality pool, spa and patio products from some of the most reputable brands, including Hayward®, Jacuzzi®, Jandy®, Polaris®, Swimline® and Zodiac®. Our products are backed by the best warranties, and we offer free shipping on all online orders over $100, quick delivery and convenient financing options. Namco has 16 conveniently located stores across Connecticut, Maine, Massachusetts, New Hampshire and New York. When you visit a Namco store, you experience the Namco difference firsthand. See our pools and spas in person, try out our patio furniture and get trusted advice from Namco's expert team members. Whether you’re new to swimming pools and spas, have questions about opening and closing your swimming pool, need help balancing your pool and spa chemicals or need parts for your equipment, our knowledgeable team is always here to help. Stop into one of our stores to talk to an associate or give us a call. We’re always here to help! Our team is committed providing the best customer experience possible. From professional installation services to helpful advice and prompt and thorough responses to custom inquiries, we strive every day to deliver complete customer happiness.